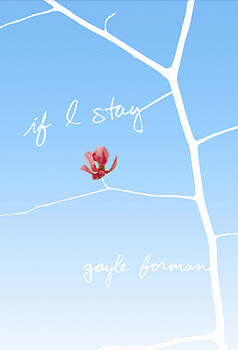 If I Stay [Book Review] – my books. my life. What starts as a family drive on a surprise snow day quickly turns deadly. Written through the perspective of an out-of-body experience, If I Stay considers what makes life worth living: the people, the things, the possible futures. After losing her entire family, is life still worth living for Mia? It’s her decision. I expected to sob my way through this one. I expected it to manipulate me. But it was just an honest, beautiful book. It’s an interesting premise: unlike her parents, Mia has the opportunity to reflect on the life she’s led and make an informed decision on whether she wants to keep living it or move on. I honestly couldn’t predict what this book was going to do. If you’ve been putting this one off, like me, it’s time to bump this one up on the tbr. I loved this book so much! I don’t think I cried, but it did knock the air out of me. You must read the sequel! Glad to know that you liked ‘If I Stay’, Michelle. It is one of my favourite books. I loved the theme of the book as well as the musical backdrop of the story. I love the cover of the edition you read.